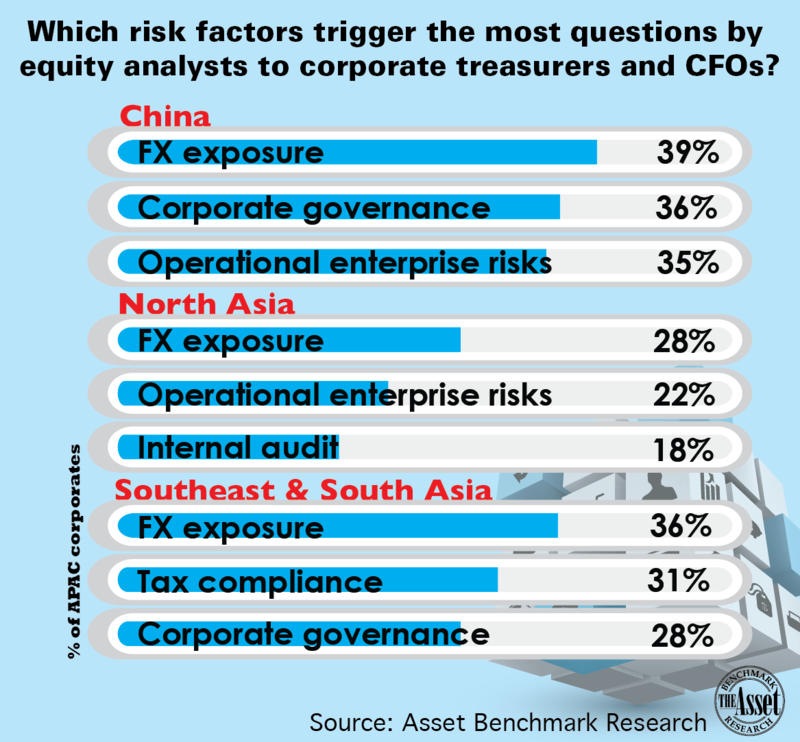 A survey of 1,123 corporate treasurers by Asset Benchmark Research asked which risk factors raised more inquiries by stock and credit analysts covering their businesses. FX exposure ranked first in all regions of Asia. Chinese enterprises also fielded more questions on corporate governance (36%) and operational risks (35%), while companies in North Asia outside China were concerned with operational risks (22%) and internal audit processes (18%). In Southeast and South Asia, analysts posed more questions on tax compliance (31%) and corporate governance (28%). To read the whole report, Bracing for Volatility, Embracing Change, go to the website of The Asset.